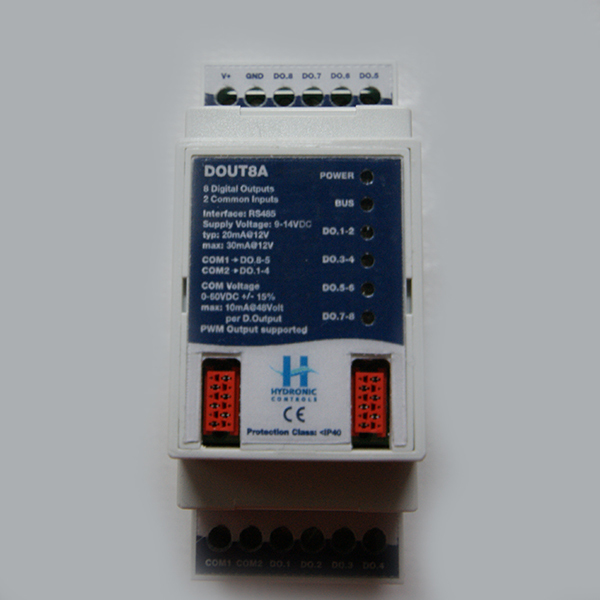 DOUT8A digital outputs module - Hydronic P. Co.
DOUT8A is a fast Digital Output switching module with 8 integrated Outputs. 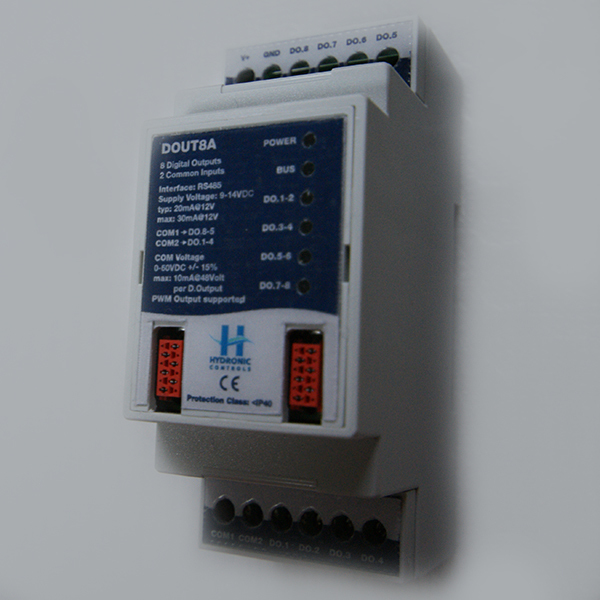 It brings two COM isolated connection Inputs, that can be powered from external power supply up to 60VDC. 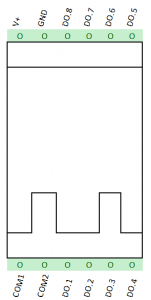 The same input Voltage applied to each COM is driven to the corresponding output where the COM refers to. When no additional power supply is used, a connection has to be made with the V+ connection. 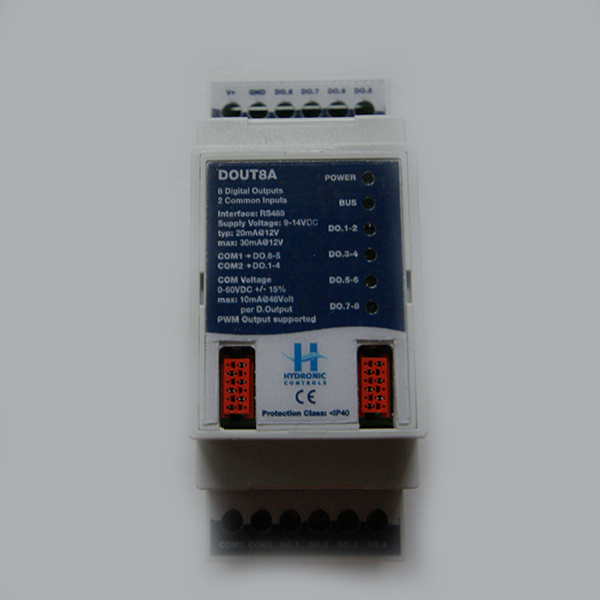 The fast switching outputs may be used for PWM signal generation with custom Amplitude and Duty Cycle.